Ever wondered how Twitter kicked off in those early days? Well apparently the RIM 850 pager played its part albeit a small part, and Jack Dorsey, Twitter’s founder gives credit to the RIM 850 as the device that helped start it all. Apparently back in 2006 Dorsey resurrected his idea and combined the status updates of instant messenger along with the timeline aspects of LiveJournal, threw in the concept of dispatch software and Twitter was born, and we all know where it went from there. 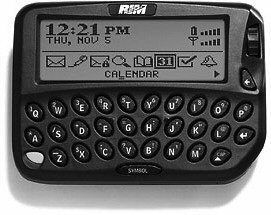 According to the Crackberry guys Research In Motion was one of the first firm to use mobile data, and their RIM 850 was owned by some 400,000 users back in 1997 and by 2002 rose to a whopping 51 million.